I picked up The Wayward Pines on a whim. It had mostly good reviews and it looked interesting. It looked like a thriller though some reviews were complaining that it was more Sci-Fi. I like both genres so if it fell between the two I had nothing to lose. The book started with some odd sentence structures. I had a feeling that I might have made a mistake to buy it, but within a handful of pages it straightened itself out and became much more readable. It did suffer from annoying sentence fragments at times. The paragraphing style was at times disruptive to the flow of the story, but for the most part, the story was strong enough to override this. 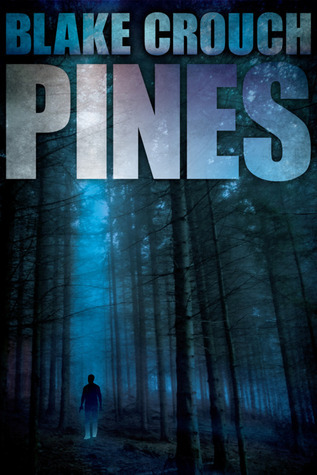 With the above reservations, you may wonder why I gave the Wayward Pines five stars out of five. The reason is simple. While reading this book my mind was constantly full of questions. Why did that happen? Why did this person act so strangely? What is happening? These were good question, not born of frustration but placed carefully in my head by the skilled hands of the author. He created a story that was very much like a thriller or mystery. The events were always interesting, puzzling and leading the reader to want to know more about Ethan Burke and the strange town he had found himself in. At times we doubt the sanity of the main character but we still root for him to overcome the unjust circumstances that surround him. Some reviewers have complained about the ending of the book but I liked it. It's possible that the author has strengthened the ending since early reviews, making it clearer and more rounded. This book is an interesting mix of thriller, mystery and science fiction. I think it works well. Readers who only read thrillers may not be delighted with the science fiction elements, but those who are more open to a range of genres should enjoy this well-written book. It was quite thrilling. It filled my mind with questions. I'd recommend it to anyone who enjoys thrillers AND science fiction.